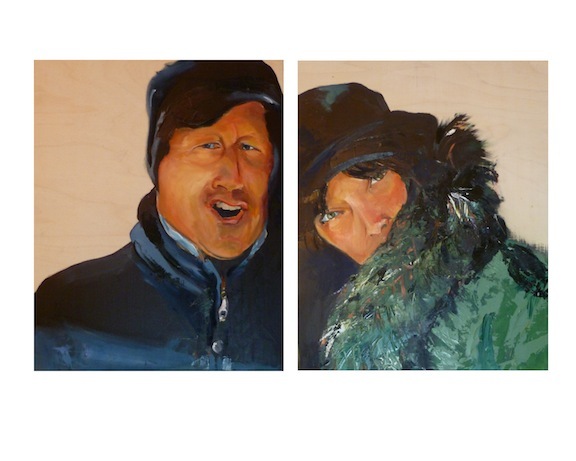 Trying my hand at working with oils on board, I created this pair of portraits predominantly with a palette knife. The couple was standing outside waiting in a line in subzero temperature in down town Chicago. Each portrait can stand alone, but I like the story it tells when they are put together.